Dr. Christopher Segler , D.P.M. Our Houston podiatry house calls doc has a unique perspective on foot and ankle injuries. He is an Ironman triathlete, marathon runner, rock climber and skier. Because of this, he understands when someone has an injury and wants to get better, it is just so they can get back to activity. He understands that the common doctor's notion of "just stop running" or "find another hobby," or "take up Scrabble" are all unacceptable to the athletically minded. He believes that any active athlete can suffer an injury yet return to sport stronger than ever. Dr. Segler is extensively involved in medical research. He has currently published over 70 scientific papers and abstracts and has received several awards related to his research including the Award for Excellence in Research from California College of Podiatric Medicine as well as multiple awards from the American College of Foot and Ankle Surgeons and the American Podiatric Medical Association. He participates in numerous scientific conferences and has presented findings from his research at medical conferences in the US, Canada, and New Zealand. In addition to conducting research, he is active in the editorial process and has served as an editor and peer reviewer for multiple scholarly medical journals. He is also a contibuting editor of the Journal of the Podiatric Medical Assciation. Dr. Segler’s achievements, all before even completing his residency training, have led to him being recognized in four separate editions of Marquis Who’s Who in America: Medicine and Healthcare, Science and Engineering and the 60th Diamond Anniversary editions. Dr. Segler has a keen interest in Sports Medicine and has lectured on running injuries and authored a chapter in a Sports Medicine textbook. On a more personal note, he has completed several marathons and is a 4-time Ironman Triathlon finisher with a personal best of 10:59:07. In addition to running, cycling and swimming he enjoys rock climbing, white-water kayaking, paragliding and water skiing. He has climbed El Capitan in Yosemite, attempted a new alpine climbing route in the Alaska Range, completed the swim from Alcatraz to San Francisco, and is a motorcycle road racing endurance champion. He has chosen the Bay Area because it offers the widest range of outdoor activities , and is the most beautiful part of the world. When not in surgery or seeing patients, he can be found running in Memorial Park or along Allen Parkway. He races Ironman Texas every year. • Untied States Patent #7,097,647: Tarsal Joint Space Distractor. • 1st Place, American Podiatric Medical Association Annual Scientific Conference 2006, Outstanding Resident Research Abstract Competition. • 3rd Place, American College of Foot and Ankle Surgeons 2006 Scientific Research Poster Competition, Institutional Category. • 2nd Place, American College of Foot and Ankle Surgeons 2005 Scientific Research Poster Competition, Institutional Category. • Chief Resident, University of Utah/VAMC, July 1, 2005 - June 30, 2006. • Marquis Who’s Who in Medicine and Healthcare, 6th Edition, 2006-2007. • Marquis Who’s Who in Science and Engineering, 9th Edition, 2006-2007. • Marquis Who’s Who in America, 60th Diamond Edition, 2006. • Award for Excellence in Research, California College of Podiatric Medicine. • Honors: Podiatric Medicine Clinical Sophomore Rotation. • Recipient: Aircast® Grant Funding For Diabetic System Clinical Trials. • Recipient: American Alpine Club Research Grant: Gilkey Memorial Fund. • Research Dean's List: Spring Semester 2002, Published as sole author. • Research Dean's List: Fall Semester 2001, Published as sole author. • Research Dean's List: Spring Semester 2001, Published as sole author. • Omicron Delta Kappa: National Leadership Honor Society, Lifetime Member. • Alpha Epsilon Delta: National Pre-Medical Honor Society, Lifetime Member. • Sigma Tau Delta: International English Honor Society, Lifetime Member. • Doctor of Podiatric Medicine, California College of Podiatric Medicine, San Francisco, CA. • Bachelor of Arts in English, University of Houston, Houston, TX. Minor in Biology, Independent Research in Organic Chemistry. • 07/03-06/06 University of Utah, DVA Health Care System, Salt Lake City, UT. Podiatric Surgical Resident (PM&S-36), University-based Reconstructive Foot Surgery Residency Training. • 01/05-Present Journal of the American Podiatric Medical Association, Bethesda, MD. Peer Reviewer. • 01/07-Present - Tarsal Instruments, LLC (Medical Instrument Firm), Daly City, CA. Design Principal and Founder. • 06/03-12/07 - Orthovation, LLC (Medical Instrument Firm), Houston, TX. Design Principal and Co-Founder. • 06/02-05/03 National Foot and Ankle Review, Oakland, CA. Senior Editor. • 03/01-08/01 California College of Podiatric Medicine, Dept. of Podiatric Medicine. Biomechanics Tutor. • 06/00-06/02 California College of Podiatric Medicine, Dept. of Basic Sciences. Medical Illustrator. • 06/00-05/01 Foot and Ankle Review, San Francisco, CA. Journal Editor. • 08/98-07/99 California College of Podiatric Medicine, San Francisco, CA. Committee Chair, Education Committee. • 01/97-02/98 Harris County Psychiatric Center, Houston, TX. Psychiatric Technician. • 04/95-01/97 Sharpstown General Hospital, Houston, TX. Psychiatric Technician. • 01/94-01/97 University of Houston, Department of Chemistry, Houston, TX. Research Assistant. • 01/94-08/95 Hospice at the Texas Medical Center, Inpatient Unit, Houston, TX. Hospice Volunteer. • The Effects of L-Arginine Supplementation on Peripheral Vascular Disease: a Prospective Randomized Placebo Controlled Double-Blind Study. • Osteomyelitis of the Calcaneus: Margin of Resection Required to Affect a Cure. • Cortical Hypertrophy as a Response to Marathon Training: A Case Study in Wolf’s Law. • Comparison of Two Methods of Joint Distraction for Arthrodesis of the Foot. Journal of the American Podiatric Medical Association. Volume 96, Issue 5, September/October 2006, 423-427. • Diffuse Pigmented Villonodular Synovitis: Two Cases Involving the Calcaneocuboid Joint. Journal of the American Podiatric Medical Association. Volume 95, Issue 2, March/April 2005, 161-166. • Low-Cost Pain Infusion Catheter for the Control of Postoperative Pain in Ambulatory Foot Surgery. Ambulatory Surgery. Vol. 12, Number 1, 2005, 31-33. • Anticardiolipin Antibodies as Markers of Physiologic Stress: A Case Study of Idiopathic Stroke in a Young Adult. Medical Hypotheses. Volume 63, Number 3, September 2004, 461-463. • Irradiation as Adjunctive Treatment of Diffuse Pigmented Villonodular Synovitis of the Foot and Ankle Prior to Tumor Surgical Excision. Medical Hypotheses. Volume 61, Number 2, August 2003, 229-230. • Ankle Injury Prevention for Paraglider Pilots. Paraglider Magazine. Volume 2, Number 2, June 2003, 725mb-715mb. • Securing a Surgical Podiatric Residency. The First Step.Vol 48, Spring 2003, 1,9. • The Biomechanical and Clinical Picture of Hallux Limitus. Handbook of Podiatric Sports Medicine, 1st ed. Hagen J. Ed. May 2002. • Collective Competence and Positive Impressions: Working with the Medicine Teams to Improve the Image of Podiatry. Steps By The Bay. Volume 2, Issue 1, Winter 2001. • Getting Published: A Guide for Podiatric Medical Students. The First Step. Volume 43, Winter 2001, 5-7. • Prophylaxis of Climbers for Prevention of Embolic Accidents. Medical Hypotheses. Volume 57, Number 4, October 2001, 472-475. • Collaborating to Enhance the Image of Podiatric Medicine. The First Step. Vol. 42, Fall 2001, 3. • From Functional Hallux Limitus to Hallux Rigidus: A Comprehensive Review. The Foot and Ankle Review. Volume 6, Number 1, 2000-01, 36-53. • Frequency and Mechanisms of Lower Extremity Injuries in Paragliding Accidents. The Foot and Ankle Review. Volume 6, Number 1, 2000-01, 17-22. • The Loss of Pain. Steps By The Bay. Volume 1, Issue 1, Fall 2000, 16-18. • Ode To A Rope. American Alpine News. Volume 8: Number 226, Oct. 1999, 28. • Osteomyelitis of the Calcaneus: Margin of Resection Required to Affect a Cure. Case Illustration and Report of Preliminary Finding. 2006 Annual Scientific Meeting of the American Podiatric Medical Association. Las Vegas, NV, August 7-10, 2006. • The Incidence of Lateral Process Fracture of the Talus. Annual Scientific Meeting of the American College of Foot and Ankle Surgeons, Las Vegas, NV, March 20-24, 2006. • Comparison of Two Methods of Joint Distraction for Arthrodesis of the Foot. 21st Australasian Podiatry Conference, Christchurch, New Zealand, August 31-September 3, 2005. • Radiographic Evaluation of the Lapidus Procedure and Resultant Forefoot Symptomatology. International Foot and Ankle Congress, Toronto, Ontario, May 11-14, 2005. • The Frequency of Accurate Radiographic Diagnosis of Tarsometatarsal Fracture Dislocations. Annual Scientific Meeting of the American College of Foot and Ankle Surgeons, New Orleans, LA, March 9-13, 2005. • Radiographic Evaluation of the Lapidus Procedure and Resultant Forefoot Symptomatology. Annual Scientific Meeting of the American College of Foot and Ankle Surgeons, New Orleans, LA, March 9-13, 2005. • Predictors of Lower Extremity Injury Among Climbers: A Cross-Sectional Investigation. Wilderness & Environmental Medicine, Volume 16, Number 1, January 2005, 58-59. • Predictors of Lower Extremity Injury Among Climbers: A Cross-Sectional Investigation. International Summer Conference on Wilderness Medicine, Aspen, CO, July 31-August 6, 2004. • How Effective Is Intensive Nonoperative Initial Treatment of Patients with Diabetes and Charcot Arthropathy of the Feet? (abstract) Compendium of Podiatric Medicine and Surgery 2006. Data Trace Publishing. • Six-Month Treatment With Alendronate in Acute Charcot Neuroarthropathy: A Randomized Controlled Trial. (abstract) Compendium of Podiatric Medicine and Surgery 2006. Data Trace Publishing. • Preliminary Experience with Perforator Flaps in Reconstruction of Soft-Tissue Defects of the Foot and Ankle. (abstract) Compendium of Podiatric Medicine and Surgery 2006. Data Trace Publishing. • Reliability of Free-Flap Coverage in Diabetic Foot Ulcers. (abstract) Compendium of Podiatric Medicine and Surgery 2006. Data Trace Publishing. • Brown Recluse Spider Bites: Managing the Effects, Which Can Include Necrotic Arachnidism and Loxoscelism. (abstract) Compendium of Podiatric Medicine and Surgery 2006. Data Trace Publishing. • A Randomized Trial of Two Irremovable Off-Loading Devices in the Management of Plantar Neuropathic Diabetic Foot Ulcers. (abstract) Compendium of Podiatric Medicine and Surgery 2006. Data Trace Publishing. • Low-Grade Central Osteosarcoma of the Foot and Ankle: Radiographic and Pathologic Features in Two Patients: Case Report and Literature Review. (abstract) Compendium of Podiatric Medicine and Surgery 2006. Data Trace Publishing. • Dermoscopy of an Acral Congenital Melanocytic Nevus. (abstract) Compendium of Podiatric Medicine and Surgery 2006. Data Trace Publishing. • Development and Testing of a Novel Biosynthesized Xcell for Treating Chronic Wounds. (abstract) Compendium of Podiatric Medicine and Surgery 2005. Data Trace Publishing. • Extra-Articular Subtalar Arthrodesis: A Long-Term Follow-Up in Patients with Cerebral Palsy. (abstract) Compendium of Podiatric Medicine and Surgery 2005. Data Trace Publishing. • Diagnostic Value of Magnetic Resonance Imaging of the Forefeet in Early Rheumatoid Arthritis When Findings on Imaging of the Metacarpophalangeal Joints of the Hands Remain Normal. (abstract) Compendium of Podiatric Medicine and Surgery 2005. Data Trace Publishing. • Progressive Bilateral Cavovarus Deformity: An Unusual Presentation of Calcaneonavicular Tarsal Coalition. (abstract) Compendium of Podiatric Medicine and Surgery 2005. Data Trace Publishing. • The Effect of Hinged Ankle-Foot Orthoses on Sit-To-Stand Transfer in Children with Spastic Cerebral Palsy. (abstract) Compendium of Podiatric Medicine and Surgery 2005. Data Trace Publishing. • "Absent Middle Facet": a Sign on Unenhanced Radiography of Subtalar Joint Coalition. ACFAS Scientific Abstract Monthly, June 2004, www.acfas.org. • Injury Characteristics and the Clinical Outcome of Subtalar Dislocations: A Clinical and Radiographic Analysis of 25 Cases. (abstract) Compendium of Podiatric Medicine and Surgery 2004. Data Trace Publishing. • Use of Demineralized Bone Matrix in Ankle/Hindfoot Fusion. (abstract) Compendium of Podiatric Medicine and Surgery 2004. Data Trace Publishing. • Anatomical Reconstruction of the Spring Ligament Using Peroneus Longus Tendon Graft. (abstract) Compendium of Podiatric Medicine and Surgery 2004. Data Trace Publishing. • Effects of Medializing Calcaneal Osteotomy on Achilles Tendon Lengthening and Plantar Foot Pressures. (abstract) Compendium of Podiatric Medicine and Surgery 2004. Data Trace Publishing. • Effect of Achilles Tendon Lengthening on Neuropathic Plantar Ulcers. A Randomized Clinical Trial. (abstract) Compendium of Podiatric Medicine and Surgery 2004. Data Trace Publishing. • Peripheral Arterial Disease. Contrast-enhanced 3D MR Angiography of the Lower Leg and Foot Compared with Conventional Angiography. (abstract) Compendium of Podiatric Medicine and Surgery 2004. Data Trace Publishing. • Stage II Flatfoot: What Fails and Why. (abstract) Compendium of Podiatric Medicine and Surgery 2004. Data Trace Publishing. • Decompression of Peripheral Nerves for Diabetic Neuropathy in the Lower Extremity. (abstract) Compendium of Podiatric Medicine and Surgery 2004. Data Trace Publishing. • Autogenous Bone Graft Interpositional Arthrodesis for the Correction of Flail Toe. A Retrospective Analysis of 22 Procedures. (abstract) Compendium of Podiatric Medicine and Surgery 2004. Data Trace Publishing. • The Oblique Proximal Phalangeal Osteotomy in the Correction of Hallux Valgus. (abstract) Compendium of Podiatric Medicine and Surgery 2004. Data Trace Publishing. • Ultrasound Detection of Heel Enthesitis: A Comparison with Magnetic Resonance Imaging. (abstract) Compendium of Podiatric Medicine and Surgery 2004. Data Trace Publishing. • Effect of Noncontact Normothermic Wound Therapy on the Healing of Neuropathic (Diabetic) Foot Ulcers: An Interim Analysis of 20 Patients. (abstract) Compendium of Podiatric Medicine and Surgery 2004. Data Trace Publishing. • Evaluation of Toe Pressure and Transcutaneous Oxygen Measurements in Management of Chronic Critical Leg Ischemia: A Diagnostic Randomized Clinical Trial. (abstract) Compendium of Podiatric Medicine and Surgery 2004. Data Trace Publishing. • Outcome of Resection of a Symptomatic Os Trigonum. (abstract) Compendium of Podiatric Medicine and Surgery 2004. Data Trace Publishing. • Treatment of the Hands and Feet in Apert Syndrome: An Evolution in Management. (abstract) Compendium of Podiatric Medicine and Surgery 2004. Data Trace Publishing. • Sympathetic Mediated Vasomotion and Skin Capillary Permeability in Diabetic Patients with Peripheral Neuropathy. (abstract) Compendium of Podiatric Medicine and Surgery 2004. Data Trace Publishing. • Subungual Exostosis of the Third Toe. (abstract) Compendium of Podiatric Medicine and Surgery 2003. Data Trace Publishing. • Management of Achilles Tendinopathy by Ultrasound-guided Percutaneous Tenotomy. (abstract) Compendium of Podiatric Medicine and Surgery 2003. Data Trace Publishing. • Treatment of Congenital Convex Pes Valgus with Navicular Excision and Subtalar Arthroereisis: A Case Study. (abstract) Compendium of Podiatric Medicine and Surgery 2002. Data Trace Publishing. • Biomechanics of the First Ray. Part III. Consequences of Lapidus Arthrodesis on Peroneus Longus Function: A Three Dimensional Kinematic Analysis in a Cadaver Model. (abstract) Compendium of Podiatric Medicine and Surgery 2002. Data Trace Publishing. • Adult Flatfoot/Posterior Tibial Tendon Dysfunction: Outcomes Analysis of Surgical Treatment Utilizing an Algorithmic Approach. (abstract) Compendium of Podiatric Medicine and Surgery 2002. Data Trace Publishing. • Subtalar Arthrodesis for Treatment of Posterior Tibial Tendon Insufficiency. (abstract) Compendium of Podiatric Medicine and Surgery 2002. Data Trace Publishing. • Complications of Surgical Treatments for Adult Flatfoot Deformities. (abstract) Compendium of Podiatric Medicine and Surgery 2002. Data Trace Publishing. • Pedal Interdigital Condylomata: A Rare Sign of Syphilis. (abstract) Compendium of Podiatric Medicine and Surgery 2002. Data Trace Publishing. • Pigmentation On The Legs: Suspicious Patches of Blue-Gray Discoloration Prompt Evaluation of Medications. (abstract) Compendium of Podiatric Medicine and Surgery 2002. Data Trace Publishing. • Cavovarus Foot Treated with Combined Calcaneus and Metatarsal Osteotomies. (abstract) Compendium of Podiatric Medicine and Surgery 2002. Data Trace Publishing. • Microsurgery in the Diabetic Foot. (abstract) Compendium of Podiatric Medicine and Surgery 2002. Data Trace Publishing. • MRI Abnormalities of Foot and Ankle in Asymptomatic, Physically Active Individuals. (abstract) Compendium of Podiatric Medicine and Surgery 2002. Data Trace Publishing. • Insights and Advancements in Foot & Ankle Surgery 2009, The Podiatry Institute, Atlantic City, NJ, September 11-13, 2009. • Cutting Edges in Foot & Ankle Surgery: Implants & Technology 2009, The Podiatry Institute, Ponte Vedra Beach, FL, July 25-28, 2009. • Top Practices Marketing/Management Summit 2008, Ashburn, VA, Oct. 18-19, 2008. • American Academy of Podiatric Practice Management Coding & Practice Management Workshop, Hilton Waikaloa Village, Kona, HI July 28-31, 2008. • 2008 National American Podiatric Medical Association Annual Scientific Meeting, Honolulu, HI, July 24-27, 2008. American Academy of Podiatry Practice Management Fall Practice Management Workshop, Ft. Lauderdale, FL, Nov. 8-11, 2007. • American Academy of Podiatry Practice Management Summer Boot Camp, Pittsburg, PA, July 27-29, 2007. • Tenth Annual Georgia Summit, Georgia Podiatric Medical Association Meeting, Atlanta, GA, Feb. 14-17, 2007. • Annual Scientific Meeting of the American College of Foot and Ankle Surgeons, Las Vegas, NV, March 20-24, 2006. • 13th Annual Seminar, The Podiatry Institute, Park City, UT, February 2-4, 2006. • Biomet Foot and Ankle Surgery Educational Conference, Biomet Learning Center, Warsaw IN, November 3-4, 2005. • 21st Australasian Podiatry Conference, Christchurch, New Zealand, August 31-September 3, 2005. • 20th Annual Educational Conference, Utah Podiatric Medical Association, St. George, UT. April 14-16, 2005. • 63rd Annual Scientific Conference, American College of Foot & Ankle Surgeons, New Orleans, LA, March 9-14, 2005. • 12th Annual Seminar, The Podiatry Institute, Park City, UT, February 3-5, 2005. • International Summer Conference on Wilderness Medicine, Wilderness Medical Society, Aspen, CO, July 31-August 6, 2004. • International Foot and Ankle Congress, The Podiatry Institute, New Orleans, LA, April 29 - May 1, 2004. • 62nd Annual Scientific Conference, American College of Foot & Ankle Surgeons, San Diego, CA, February 11-14, 2004. • Essentials of Practice, California Podiatric Medical Association, San Francisco, CA, November 17-18, 2000. • 2000 Western Podiatric Medical Congress, California Podiatric Medical Association, Anaheim, CA, May 26-28, 2000. • Podiatry for the General Practitioner: Pathogenesis and Treatment, University of Tennessee at Chattanooga, School of Nursing Lecture, Oct.18, 2008. • Do You Feel Like You’ve Walked in Someone Else’s Shoes? Common Causes, Prevention and Treatment of Foot Pain. Community Service Lecture Series, Burke's United Methodist Church, Hixson, TN, February 27, 2008. • Prevention of Ulceration and Amputation in the Newly Diagnosed Diabetic. Diabetes and Nutrition Center, Memorial Hospital Main Campus, Chattanooga, TN, October 19, 2006. • Smoking and the Lower Extremity. University of Utah/VAMC Podiatric Surgical Resident Lecture Series, Veterans Affairs Medical Center, Salt Lake City, UT, May 6, 2006. • Running Injuries: Evidence Based Medicine of Common Conditions. University of Utah/VAMC Podiatric Surgical Resident Lecture Series, Veterans Affairs Medical Center, Salt Lake City, UT, April 18, 2006. • The Incidence of Lateral Process Fracture of the Talus. Annual Scientific Meeting of the American College of Foot and Ankle Surgeons, Las Vegas, NV, March 20-24, 2005. • Surgical Case Presentation: Ankle Arthroscopy. University of Utah/VAMC Podiatric Surgical Resident Lecture Series, Veterans Affairs Medical Center, Salt Lake City, UT, March 7, 2006. • Lesser Metatarsal Surgery for the Treatment of Chronic Intractable Plantar Keratoses. University of Utah/VAMC Podiatric Surgical Resident Lecture Series, Veterans Affairs Medical Center, Salt Lake City, UT, February 21, 2006. • Surgical Anatomy: Tibialis Posterior Tendon Repair. University of Utah/VAMC Podiatric Surgical Resident Lecture Series, Veterans Affairs Medical Center, Salt Lake City, UT, September 27, 2005. • Interference Screw Application in Jones Tenosuspension. Biomet Foot and Ankle Surgery Educational Conference. Biomet World Headquarters, Warsaw, IN, November 5, 2005. • Acute Achilles Tendon Rupture Repair. University of Utah/VAMC Podiatric Surgical Resident Lecture Series, Veterans Affairs Medical Center, Salt Lake City, UT, October 25, 2005. • Comparison of Two Methods of Joint Distraction for Arthrodesis of the Foot. 21st Australasian Podiatry Conference, Christchurch, New Zealand, August 31- September 3, 2005. • Diagnosis of Osteomyelitis: Old Myths and New Modalities. University of Utah/VAMC Podiatric Surgical Resident Lecture Series, Veterans Affairs Medical Center, Salt Lake City, UT, August 23, 2005. • American College of Foot and Ankle Surgeons Clinical Practice Guidelines on Hallux Valgus. University of Utah/VAMC Podiatric Surgical Resident Lecture Series, Veterans Affairs Medical Center, Salt Lake City, UT, August 2, 2005. • Podiatric Resident Research: How to Complete a Clinical Research Project. University of Utah/VAMC Podiatric Surgical Resident Lecture Series, Veterans Affairs Medical Center, Salt Lake City, UT, July 12, 2005. • Joint Distraction Methods in Arthrodesis of the Foot. Utah Podiatric Medical Association Annual Educational Conference, St. George, UT, April 14, 2005. • A Report of VA Research: The Frequency of Accurate Radiographic Diagnosis of Tarsometatarsal Fracture Dislocations. VA Research Week, Department of Veterans Affairs Medical Center, Salt Lake City, UT, March 30, 2005. • Podiatry for the Family Practice Physician: Pathogenesis and Treatment of Common Podiatric Complaints. St. Mark’s Family Practice Resident Lecture Series, St. Mark’s Medical Center, Salt Lake City, UT, March 21, 2005. • Diagnostically Challenging Midfoot Injuries. St. Mark’s Family Practice Resident Lecture Series, St. Mark’s Medical Center, Salt Lake City, UT, January 25, 2005. • Treatment of Posterior Tibial Tendon Dysfunction: A New Modification of the Dwyer Procedure. VA Medical Center Resident Lecture Series, Department of Veterans Affairs Health Care System, Salt Lake City, UT, November 2, 2004. • Predictors of Lower Extremity Injury Among Climbers: A Cross-Sectional Investigation. International Summer Conference on Wilderness Medicine, Annual Meeting of the Wilderness Medical Society, Aspen, CO, July 31-August 6, 2004. • Current VAMC Podiatric Research: Projects, Proposals, Publications. VA Medical Center Resident Lecture Series, Department of Veterans Affairs Health Care System, Salt Lake City, UT, July 06, 2004. • Morbidity and Mortality: A Case of Necrotizing Fasciitis. VA Medical Center Resident Lecture Series, VAMC, Salt Lake City, UT, May 18, 2004. • Deltoid Ligament Integrity in Lateral Malleolar Fractures: A Comparative Analysis of Arthroscopic & Radiographic Assessments: a Report of Research Presented at ACFAS 2004. VA Medical Center Resident Lecture Series, Dept. of Veterans Affairs Health Care System, Salt Lake City, UT, May 4, 2004. • Modified Lapidus Arthrodesis: Rate of Nonunion in 227 Cases: A Report of Research Presented at ACFAS 2004. VA Medical Center Resident Lecture Series, Dept. of Veterans Affairs Health Care System, Salt Lake City, UT, May 4, 2004. • Diagnosing Deep Deltoid Ligament Ruptures on Plain Radiography. Department of Radiology, University of Utah, Salt Lake City, UT, February 20, 2004. • Diffuse Pigmented Villonodular Synovitis: A Clinical Picture and Report of Two Cases. VA Medical Center Resident Lecture Series, Department of Veterans Affairs Health Care System, Salt Lake City, UT, October 14, 2003. • Research: Projects, Proposals, Publications. VA Medical Center. Department of Veterans Affairs Health Care System, Salt Lake City, UT, July 22, 2003. • Podiatric Medicine: An Interdisciplinary Approach. VA Medical Center Resident Lecture Series, Dept. of Veterans Affairs, Salt Lake City, UT, July 6, 2003. • Tarsal Joint Distractor Procedure Orientation. Orthovation Medical Instruments, Houston, TX, June 20, 2003. • Centralized Residency Interview Program Orientation: Surviving the Residency Interview Process. California School of Podiatric Medicine, St. Mary’s Medical Center, San Francisco, CA, March 20, 2003. • Research and Evidence Based Medicine in the Literature. California School of Podiatric Medicine, St. Mary’s Medical Center, San Francisco, CA, Jan 15, 2003. • Tension Band Wiring Applications in Internal Fixation of the Lower Extremity. California School of Podiatric Medicine, Department of Podiatric Surgery. St. Mary’s Medical Center, San Francisco, CA, January 9, 2003. • Diabetic Complications of the Lower Extremities. University of California San Francisco, Department of Clinical Medicine, San Francisco General Hospital, San Francisco, CA, October 22, 2002. • Diffuse Pigmented Villonodular Synovitis: A Clinical Picture and Report of Two Cases. Long Beach Memorial Medical Center, Long Beach, CA, June 27, 2002. • San Francisco General Hospital Medicine Rotation Orientation. California College of Podiatric Medicine, San Francisco, CA, May 29, 2002. • Posterior Tibial Tendon Dysfunction: A Clinical Picture and Conservative Therapy as Presented in the Literature. California College of Podiatric Medicine, Department of Biomechanics, San Francisco, CA, May 1, 2002. • Surgery Rotation O.R. Instrument Orientation. California School of Podiatric Medicine, St. Mary’s Medical Center, San Francisco, CA. April 15, 2002. • Phantom Limb Pain: Causes, Prevention, and Treatment. University of California San Francisco, Dept. of Clinical Medicine, San Francisco, CA, October 5, 2001.
and others, June 9, 2009, diabeticsupersite.com. and others, May 29, 2009, www.bargaintravelsite.com. others, May 29, 2009, www.the-diabetesguide.com. to the Question and others, May 21, 2009, www.answertothequestion.com. by EArticles and others, May 21, 2009, www.earticles.com. others, April 30, 2009, www.earticles.com. and others, December 29, 2008, www.itechnoworld.com. Fitness Articles and others, December 17, 2008, www.physicalfitnessarticles.net. Management Online and others, November 4, 2008, www.podiatrym.com. • Iiotibial Band Syndrome: Injury Prevention for Marathon Runners, Part 10. Program. Oct. 5, 2008, www.battlefieldmarathon.com. • Ankle Sprains and Instability: Injury Prevention for Marathon Runners, Part 8. Marathon Training Program. Sep. 28, 2008, www.battlefieldmarathon.com. • Blisters and Black Toenails: Injury Prevention for Marathon Runners, Part 7. Marathon Training Program. Sep. 21, 2008, www.battlefieldmarathon.com. Program. Sep. 14, 2008, www.battlefieldmarathon.com. Program. Sep. 7, 2008, www.battlefieldmarathon.com. Training Program. Aug. 31, 2008, www.battlefieldmarathon.com. Marathon Training Program. Aug. 24, 2008, www.battlefieldmarathon.com. 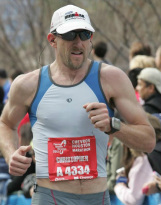 • Train Smart, Not Hard: Injury Prevention for Marathon Runners, Part 1. Marathon Training Program. Aug. 10, 2008, www.battlefieldmarathon.com. Dr. Christopher Segler is a foot surgeon and podiatrist who believes that personalized care and prompt attention are critical components of the best medical care. He specializes in convenient rapid treatment through podiatry house calls. He is an award-winning foot and ankle surgeon practicing in the Greater Houston Area. If you have a question about your foot or ankle problem, you can speak with him directly by calling 713-489-7674.